The meeting, taking place at the International Gymnastics Federation headquarters, follows months of wrangling over who is in control of a discipline that could one day be added to the Olympic programme. A new body, Parkour Earth, was subsequently set-up, with Parkour UK's chief executive Eugene Minogue having been nominated and appointed as transitional chief executive on an ex-officio basis. Minogue told insidethegames today that four specific items will be discussed at the meeting. These include the "presentation of FIG and its vision for parkour", and the "presentation of Parkour Earth and its vision for Parkour/Freerunning/Art Du Déplacement, our members & our community". They are also seeking to "formalise the clarification, understanding and recognition of the sovereignty of Parkour/Freerunning/Art Du Déplacement as a sport" and to "formalise the understanding and acknowledgement of Parkour Earth as the International Federation for the sovereign sport Parkour/Freerunning/Art Du Déplacement". A first FIG Parkour World Cup was held over the weekend at the International Festival of Extreme Sports World Series event in Chengdu in China. 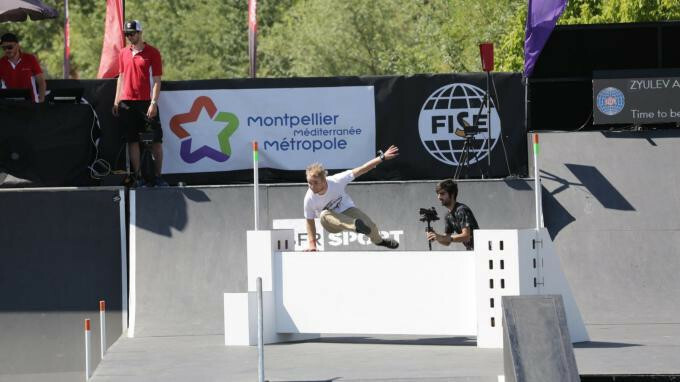 The body has also been challenged by the International Parkour Federation , who claim they are the only body to currently have an application with the Global Association of International Sports Federations for official recognition pending.